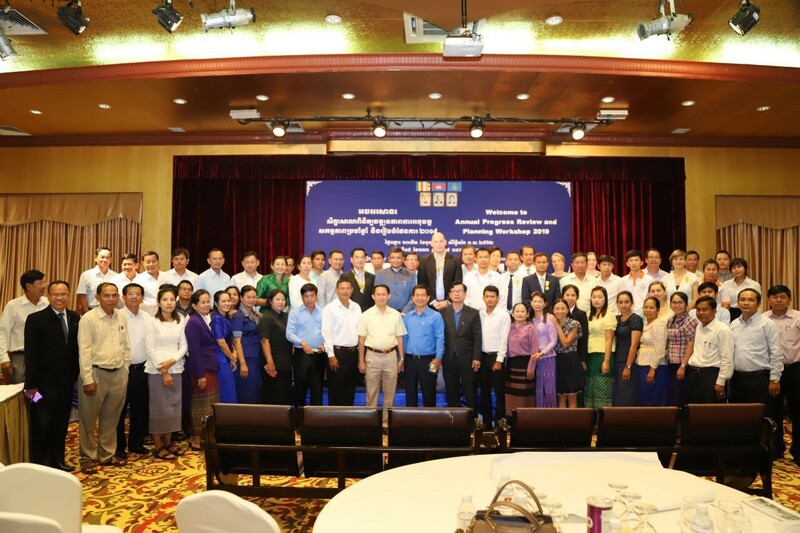 Early January, VVOB organised the annual progress review and planning workshop for activities in Cambodia. The Minister of Education, Youth and Sport - VVOB’s key partner - was also present. The minister was very positive about VVOB’s results and, in recognition, awarded VVOB medals of honour. What a way to start 2019! 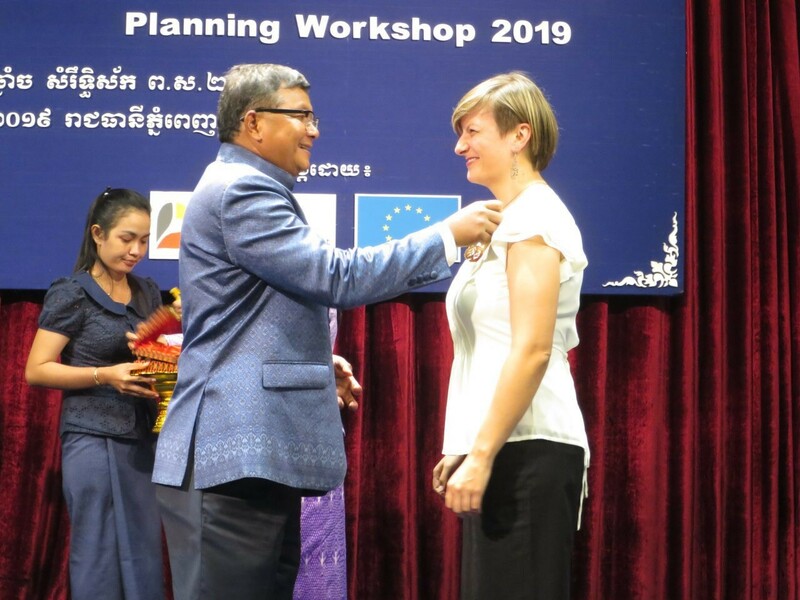 At the beginning of every year, VVOB staff in Cambodia organise a progress review and planning workshop. We reflect on the achievements and challenges of the past year, and review the planning for the forthcoming year. 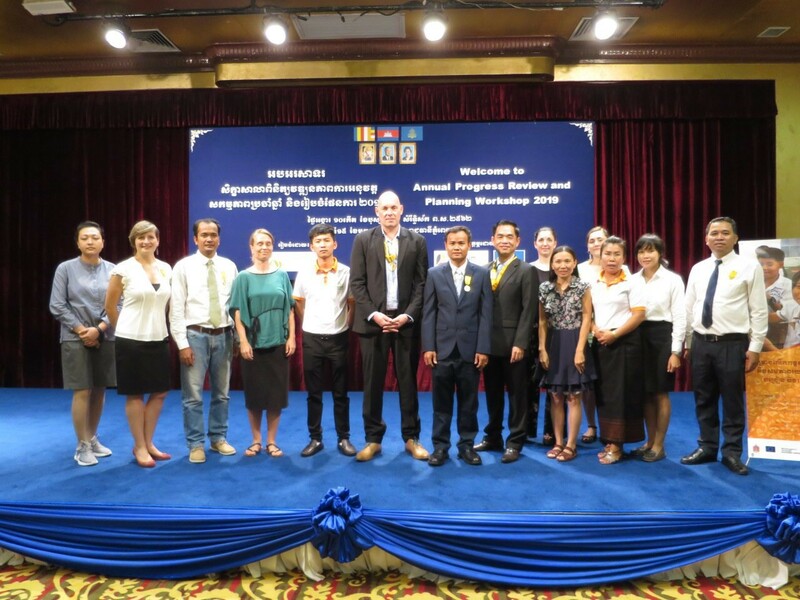 For the workshop of 2019, all VVOB’s partners and stakeholders in Cambodia were invited to the capital Phnom Penh, including the management teams of the Teacher Education Colleges (TEC) of Phnom Penh and Battambang, officials from the Ministry of Education, Youth and Sport and of the Ministry of Women’s affairs. Also present during the meeting was his Excellency, Senior Minister, Minister of Education, Youth and Sport, Dr. Hang Chuon Naron. 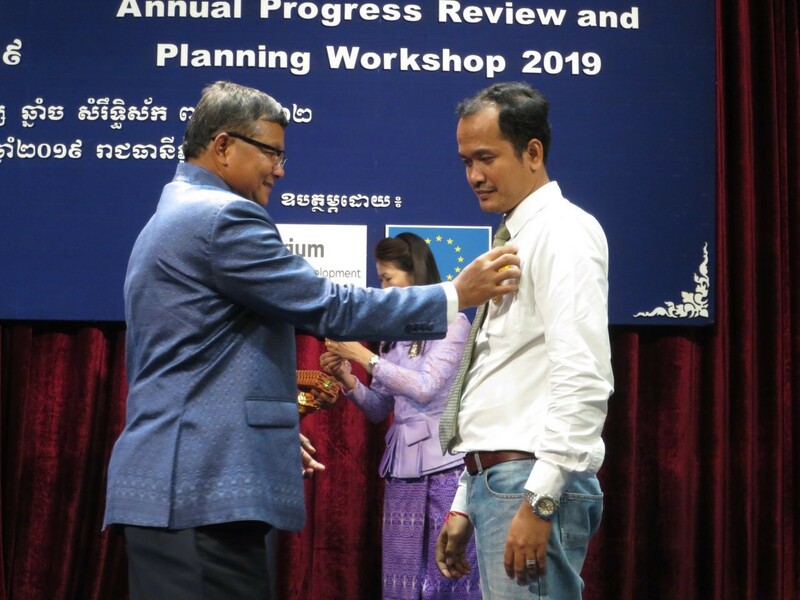 In his closing speech, the Minister expressed his and the ministry’s appreciation for VVOB’s long-time engagement and contribution to the strengthening of the education sector in Cambodia. As a sign of this appreciation, he awarded VVOB staff medals of the Royal Order of Monisaraphon. These medals are first and foremost a recognition of the efforts of the entire VVOB team in Cambodia. Congratulations to all! 200 TEC lecturers were trained in classroom management and positive discipline; and new TEC modules on math education were developed to improve math teaching. Learn more about our SMART programme. An action guide was developed on establishing gender-responsive school environments. Learn more about our TIGER project. In the afternoon, all participants split into groups to discuss lessons learnt and to adapt the 2019 workplan accordingly.